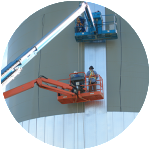 Enerpro is an experienced manufacturer and installer of interlocking thermal panel systems that are cost effective, have a great thermal insulation rating, are highly efficient, and have long life. 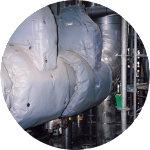 Enerpro Insulation has installed this system in the oilfield, mining, chemical and industries where there is a need to reduce cost and improve efficiency. Enerpro is an experienced manufacturer and installer of interlocking thermal panel systems that are cost effective, have a great thermal insulation rating, are highly efficient, and have long life. Enerpro insulation has installed this sytem in the oilfield, mining, chemical and industries with the need to reduce costs and improve efficiency.